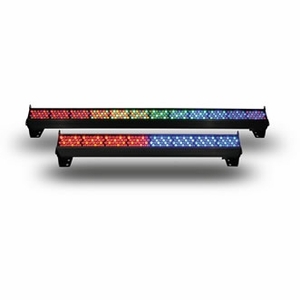 The Chroma-Q™ Color Force™ LED batten range is a brute of a light. The super bright fixture easily washes up to 8m / 26 foot. In addition, our advanced ColorSure™ RGBA colour and control management technologies together give you a radically increased colour palette, enhanced colour consistency, a high CRI of 92 and theatrical grade dimming, all in the same fixture. The range also includes a multi-purpose version.